Surgical technique is a critical determinant of the success of bone grafting in revision total hip replacement. The host bed must be appropriately prepared and the scar tissue excised. 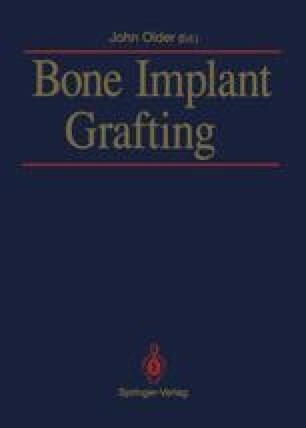 Soft tissue coverage is important in determining the outcome of the bone grafting procedure. Infection should be prevented by meticulous surgery and prophylactic antibiotics. The host bed provides circulation and nutrition to the soft tissue and bone. The selection of the bone graft is also important to provide the clinical function required.